Developer Quote: "GazziliShapes is an innovative, fun new App that teaches Preschoolers challenging shape-related concepts in a kid-friendly way!" If you want your kids to take great strides in their education, solid learning has to take place from a very early age. We can no longer be content to sit back and wait till Kindergarten teachers train our kids. Parents have to take responsibility from early on to pave the way using engaging and innovative educational techniques. 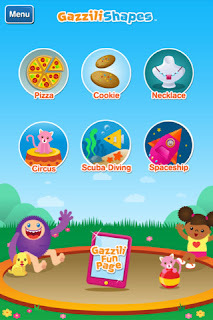 GazziliShapes is an app that provides age appropriate and charming interaction for preschoolers along with a good measure of knowledge, and is designed to aid parents teach their young ones. - 6 engaging, exciting activities that get progressively more challenging. - Successful completion of each level means seeing a portion of the ‘GazziliFunPage’ come to life. 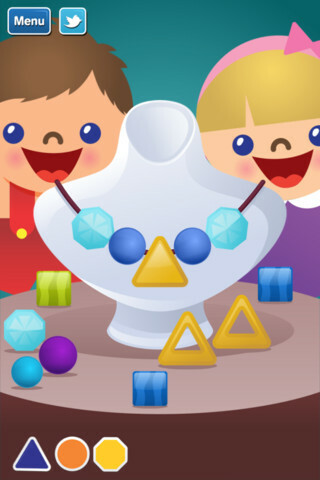 - Child interacts with the app to build a deep understanding of shape-related concepts. - Delightful, interactive animations, music, sound-effects, and surprise features. - Improvement of hand-eye coordination and fine motor skills as children gain proficiency with tablet hardware. Start out this delightful adventure by tapping the Pizza button. A little boy is waiting for his pizza, and you must help him by answering shape-related questions correctly in order to get it delivered. Tap various shapes, and as you answer correctly, you will see the corresponding outlines fill with color at the bottom of your screen. It's such fun to see all the pizza eaten up at the end as your visual reward! A re-count of all the shapes you have found is finally given to sum up the activity. 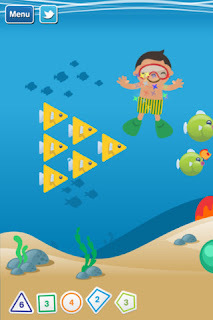 My favorite part then is the surprise game in which you slide the shape into the correct background outline. At this point, the next game object is unlocked and you can proceed with that activity. Tap the Menu button at top right of the screen to view My Games, Settings, Share and Info. Settings include toggling the following items: Sound FX, Music, Instructions and Twitter. One neat way to enjoy GazziliShapes in bright, beautiful color also is to use the AirPlay Mirroring function included in iOS 5! Rewarding kids with a special task to identify a shape after "work" activities is something to look forward to throughout the app! Plus, as an added bonus, kids can watch the special image come alive on the Gazzili Fun Page at the end of their play. 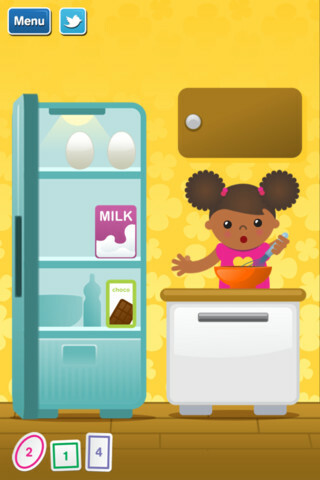 What makes this childhood app especially appealing to parents is the dual-curriculum approach it contains in teaching life lessons and technology at the same time. Additionally, the app received major input from experts at The Dalton School to maximize the effectiveness of its educational content and appeal to little ones. The adorable kiddie graphics suitable for the preschool age captures the imagination of children. 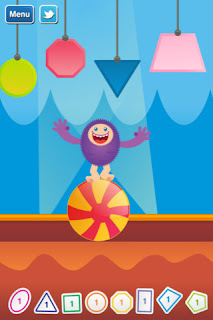 Throw in some happy music and fun sounds throughout, and your child will not want to stop playing this lovely multi-sensory preschool app! COOL CONCLUSION: "Preschoolers will love the interaction, gentle encouragement and age-appropriate challenges presented in GazziliShapes, an intriguing, educational game!" --Special Note:Also see GazziliWords at the App Store.